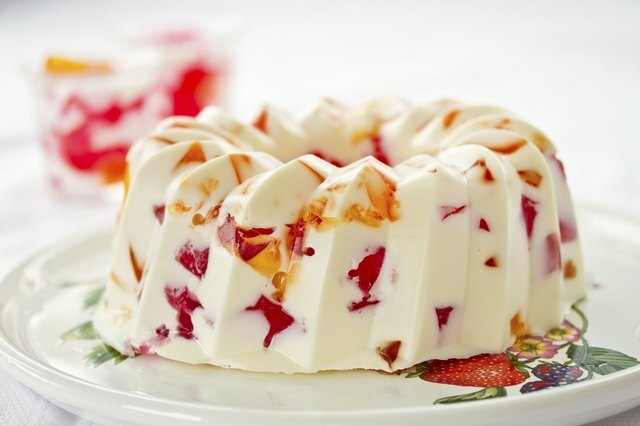 Smooth, easy to make, and able to set in nearly any shape, Jello-O is practically foolproof. 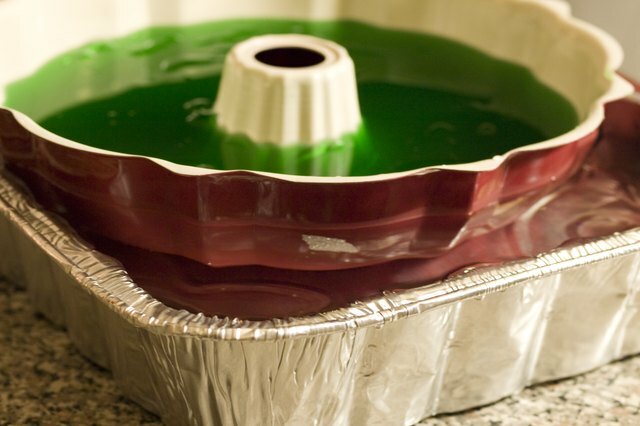 Only one problem: when Jello-O sets in a typical gelatin mold made of silicone and polymers, there's no space for air, which means no vacuum and nothing to break the seal holding the gelatin in. 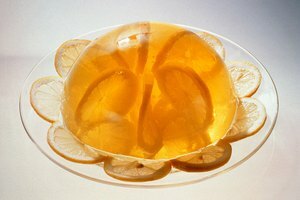 But just a little heat warms Jell-O enough to release it from the mold without altering its shape. Chill a plate or tray in the refrigerator for about 15 minutes. Press the Jell-O gently to check for firmness; it should spring back easily. If it doesn't, chill it in the refrigerator until it firms. Fill a bowl or pan with enough warm water so that when you place the mold in it, the water reaches close to the opening of the mold but not over it. Dip the exterior of the mold in the warm water for 10 seconds, then remove the mold from the water and shake it slightly. Place the chilled plate on top of the mold's opening. With one hand on top of the plate and the other under the mold, invert the mold and the plate and set them plate-side-down on the table or counter. 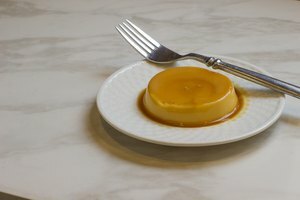 Gently pull the mold away from the gelatin. Spray the interior of the mold with a thin sheen of cooking spray before adding the Jell-O to prevent sticking. 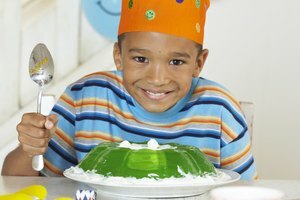 Hold a knife under warm water for a few seconds and carefully insert it between the mold and the Jell-O to help gently release the Jello-O. 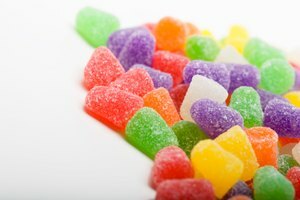 How Can I Soften Gum Drops?